For this topic we will look at… working at the command line. In truth, or in more detail, at any rate, we will take a look at shells in Linux and in particular BASH. That will take us down the track of variables, aliases, shell option and history. If that is not enough we will have a look at some common commands like exec, pwd and uname. This will list available shells. You can only change to shells listed in the file /etc/shells which administrators manage. The output from my SUSE 11 Server is shown in the following screenshot. If geeko is your username. The video is a great way to help your understanding…. This will have the effect of running the command ls and then immediately exiting the shell. To read in a variable we can make use of the command echo. to turn the option off again. Although not directly a topic for this objective it certainly fits well into this chapter next to variables as aliases too, customize the users shell experience. Alias is a simple command in itself with just the one option -p, so simple it is not required: alias -p will print out your current aliases, but alias on its own will do this too . The output will show, on most distros that ls is aliased. This is great, as it means we can get the color listing of file types from ls without all that tiresome typing. This deletes the aliases from RAM until they are loaded again. This is normally in the login scripts, .bash_profile or .bashrc. If we want to create an alias for ourselves we can use the alias command to create aliases. Built-in commands are those that are compiled into he shell themselves. These can exits in shells like bash and other shells and became an integral part of the shell itself. 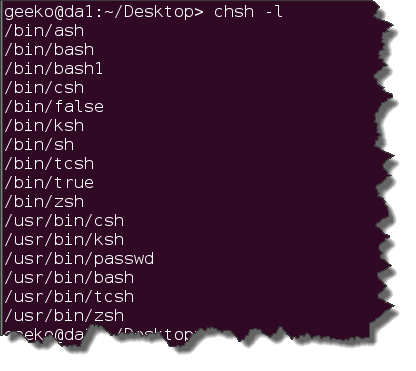 To list the internal commands to a bash or bourne shell type the command help. Some commands are listed both inside the shell binary as a built-in or internal command as well as a separate entity within the file-system, You may not be aware the that internal command is running rather than the one withing your PATH variable. You can use the command type to see if the command is built into the shell. Here we see that the command pwd is a built-in and unless we use the full path to the pwd binary, /bin/pwd the built in will be used. Switching between the two commands may be confusing when viewing the output as they behave differently; /bin/pwd has no option switches and behaves like the built-in pwd with the -p option. If run when in a symlinked directory /bin/pwd will show the actual target directory whereas pwd used on its own will show the symlink directory. Compare the two output’s from the following screenshot when the two pwd commands are run from within a directory that is a symlink (soft linked directory). This is not normally an issue as most times you will run the comd just with its name so the built-in will run before the PATH variable is searched. To search for test in out history, test does not have to be the first word or even a complete word, we are searching for the string test from the bottom of our history up, ctrl + b to go forward in the history. If we use cntrl + r and hit a match that we don’t want we can use ctrl + r again to search back from that point until we find the match we want. Hence ctrl + b so we can forward again if we go to far back. There are variables that control the use of history in the shell and we look at setting HISTCONTROL to erasedups . This way each line will be unique in out history and duplicate lines will be deleted ; ensuring that we have a single occurrence of each command and option used. Let the video explain all…….